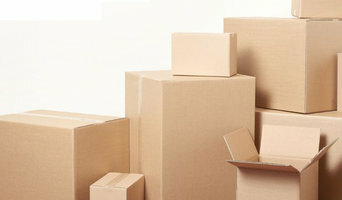 Vale Removals & Storage Cardiff is your family run one stop shop for anything removals, storage and packaging. We were established in 2006 and pride ourselves on being the most reviewed company in the area. We specialise in small flat, Apartment and Full House Removals, and Local & Nationwide Deliveries. We pride ourselves on our excellent customer service and our drivers careful, fast and efficient skills that ensure you a smooth and trouble free. 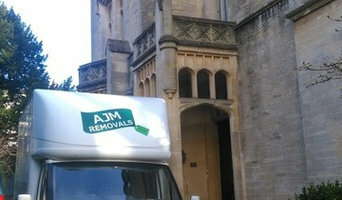 AJM REMOVALS was established in 2011.We are professional, experienced and expanding removal company. Moving is a very important and stressful event in Your life and our aim is to ensure that all home moves go as smoothly as possible. We provide a first class service whether you need a 'man with a van' ,trusted delivery service or a full home, office packing or removal services in Bristol and across the UK. Armishaws is a family owned removals business and has been running since 1973. Their removals and relocation services cover all region within the UK, Northern Ireland, Europe, USA, Canada, Australia and New Zealand. Armishaws have established working relationships with many major shipping companies and work together when shipping overseas. The company has a wealth of knowledge in Business Removals. Their experience in providing solutions for businesses with their moving and storage needs will ensure that your business will encounter the least amount of disruption possible. Armishaws provides also long- and short-term storage. Their secure container storage system will ensure the safety and care of all your possessions. Packing Solution is an established company in Glastonbury that is a well known business to offer complete packing products. We have been using high quality materials to manufacture packaging accessories like bubble wrap roll, removal boxes, tapes, archive boxes etc at fair price within UK. Also offering free next day delivery on all orders. BOLT Removals are a house removals company based in Cardiff who specialise in household and furniture removals for all types of relocations in South Wales. 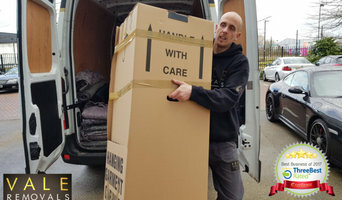 Advantage Removals offers quality Man and van, House Removals, Business Removals and storage, Student Moves, man and van london & White van man removal services through various individuals & reliable removal companies on daily basis throughout UK. These trusted Allies of Advantage Removals, offer quality removal services ensuring stress-free removal experience to our customers. Easymove Bristol are a Removals & Storage company operating in Bristol for over 40 years. Easymove are specialists in overseas removals, complying with all customs regulations for house moves to Australia, Canada or the USA. Secure storage is also available in case some of your belongings need to be temporarily stored. Get in touch with Easymove today. From house clearances to the removal of building waste and rubbish in Bristol, we can remove and dispose of pretty much anything in an eco-friendly way, so you are left with a clear space you can enjoy. For rubbish clearance in Bristol, we can do the job! At Roo’s Junk Removal, we specialise in rubbish removal servicing Bristol and the surrounding areas. We know that the idea of tidying up left over building waste or de-cluttering the spare room can be daunting, and that is why our Bristol based rubbish removal team is here to lend a helping hand. Why should I hire Bristol removal companies? Some house removals will involve total house clearance work – perhaps you’re stripping bare your old place and redoing it before selling it on? Or if you only need a few large items moved, there are lots of removal companies in Bristol that will be happy to offer furniture removal, and may even be willing to take items to the tip for you if you’ve decided to get rid of them. If you find a reliable man with a van in Bristol, he may be able to accommodate you throughout your whole move – helping you with house clearance, taking items to the tip, to storage containers, to salvage yards and finally helping to move everything into your new place. A Bristol man with a van service is often a bit more flexible than a removals company, so consider individual movers as well as large firms when you move. If you’re moving at the same time as carrying out renovations, you may need to liaise with your other contractors as well as Bristol removal companies to make sure the move and house clearance can go as seamlessly as possible. Here are some related professionals and vendors to complement the work of removal companies: . Find removal companies on Houzz. Narrow your search in the Professionals section of the website to Bristol removal companies and man with a van services. You can also look through Bristol photos to find examples of house clearances and moves, then contact the professional who worked on them.